This week’s winner goes to @m_a_r_c_u_s for the most annoying twitter handle to type as well as a picture of the view that made me fall in love with the city. 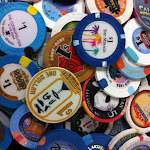 I’ve talked about it a few times that the first time I came to Vegas, I was so intent on making sure I saw everything that I didn’t really experience the city. Two years later, we returned with some friends and Keren and I landed a room with this view. That view and that trip set in motion the obsession that eventually created this show. 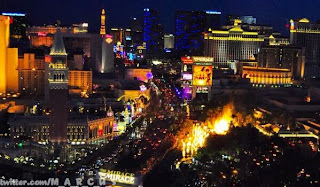 This photo caught the strip at night with the Mirage Volcano in full effect. It’s a beautiful picture and a beautiful view that brought back so many memories. Thanks Marcus with too many underscores for sharing it.